Product prices and availability are accurate as of 2019-04-20 14:54:34 EDT and are subject to change. Any price and availability information displayed on http://www.amazon.com/ at the time of purchase will apply to the purchase of this product. 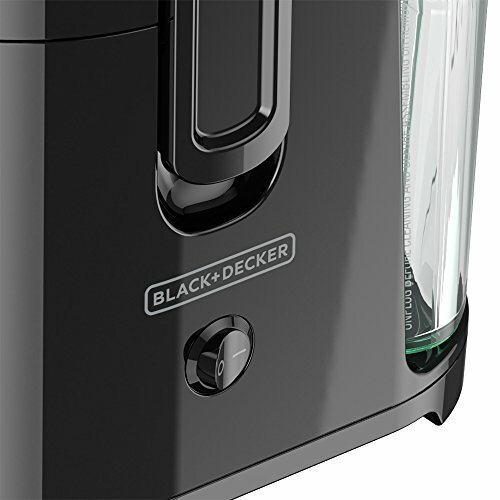 The BLACK+DECKER 400-Watt Juice Extractor makes it easy to turn all your favorite fruits and vegetables into delicious, pulp-free juice. 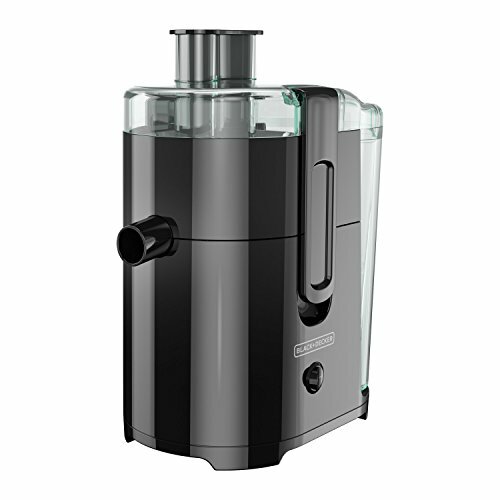 The powerful 400-watt motor quickly works through produce, separating fresh juice from the pulp, which is collected in a separate container. 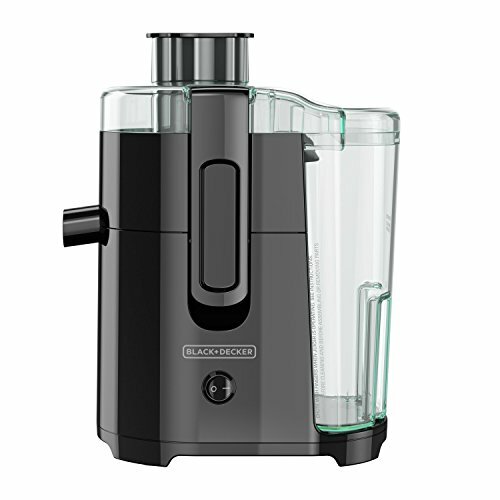 With intuitive controls and dishwasher-safe parts, it's the fast and easy way to enjoy fresh, flavorful juice!. 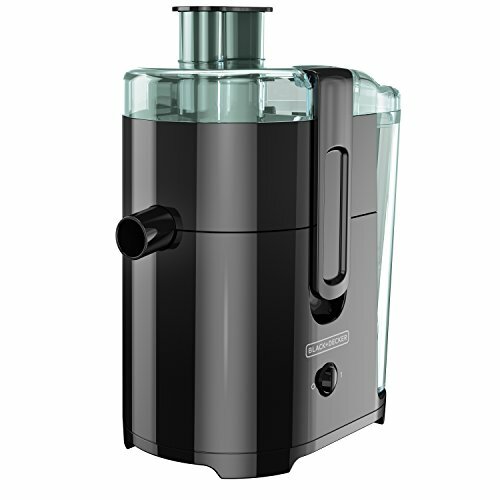 400-Watt Motor - Extract fresh, pulp-free juice in just seconds! 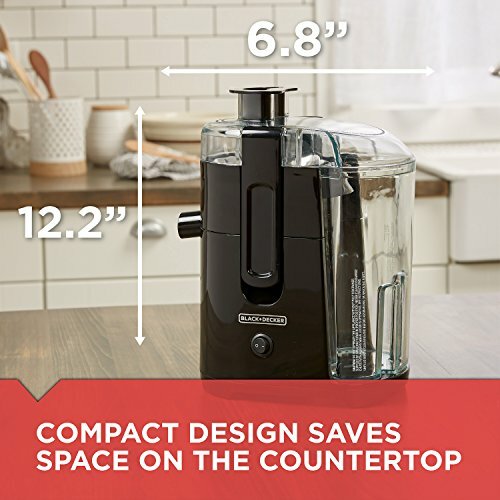 The intuitive on/off switch provides the best performance for all kinds of fruit and vegetables Compact Design - The vertically-oriented juice extractor saves space on the countertop Stainless Steel Cutter and Strainer - The durable cutter quickly works through fruits and vegetables and it's easy to clean and reuse Dishwasher-Safe Parts - Every removable part is safe to clean in the dishwasher, further simplifying the juice-making process Fruit and Vegetable Pusher - The pusher guides fresh produce towards the cutters for maximum juice extraction Large Capacity Pulp Container - The 28-oz. container collects pulp for use in muffins, desserts, and more!